Several months ago, we announced that we had signed an MOU to enter into a research partnership with Rajamangala Institute of Technology for the development of seismic sensors supported by the $VULC blockchain to help collect data on ground movements. Today, we are pleased to announce that the sensor proof-of-concept is entering the field testing phase and will soon be deployed in concert with a full-scale seismograph for calibration. Currently, the remainder of the data-acquisition and aggregation is being fine-tuned. At the same time, research into the requirements for connectivity in a rural area is being conducted. Currently, the sensors experience some latency and communications dropout if situated more than two kilometers apart in areas without wireless coverage. As many volcanoes are located in rural areas, this is a problem which must be overcome before large-scale roll-outs can take place. The research grant given several weeks ago for research into data compression will be helpful in making this system viable in the long term. 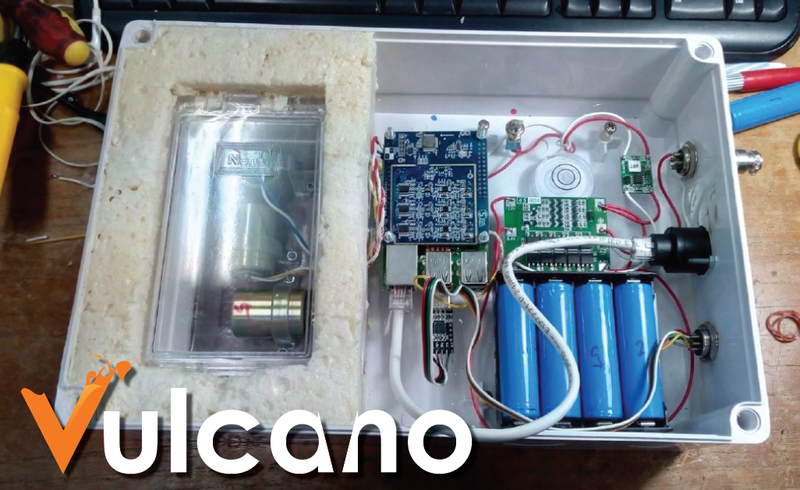 We look forward to keeping you updated as research continues and as the sensors are linked to the Vulcano blockchain! Learn more about Vulcano ($VULC) by visiting our website at www.Vulcano.io and by joining our Discord or Telegram communities online!